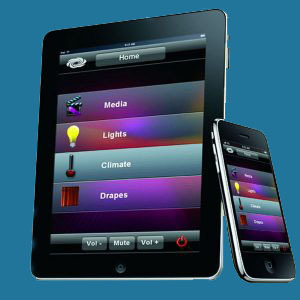 Home Automation – Security Blanket Inc.
Home automation is next great step in home convenience. Automating the home has came a long way since the days of clapping your hands to light up a room. The automation services we offer today include things like thermostat control, door lock control, home theater control, video & audio monitoring, and most other things that run on electricity. 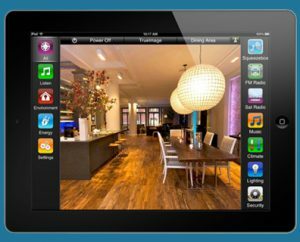 All you need to control your entire home is a smartphone or tablet and a visit from the technicians at Security Blanket. Not only is this a great convenience, but would be a great boon to the independence of aging seniors. We will take you step by step though the process and answer any questions you have along the way. Just imagine never having to turn the car around again just because you forgot to lock the front door. Now you can continue on that trip, uninterrupted by the feeling of “Did I leave this appliance running?” or “I need to see if the house is okay after that big storm.” The only experience will be the peace of mind that can only come from looking at the screen to see AND hear that all is quiet back at home. For more information, please call 601-296-9627 or you may reach us on our “Contact” page above.